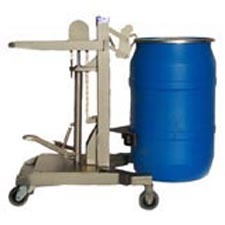 A simple, safe and effective method that addresses the risks in manual materials handling in moving, lifting and lowering drums without a forklift - all while the drum remains completely in the vertical position. 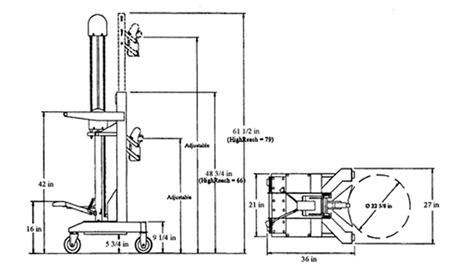 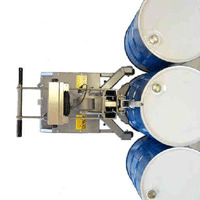 The Drum Transporter can safely and easily pick up steel, poly, and fibre drums, raising or lowering to a full twenty 20 inches! 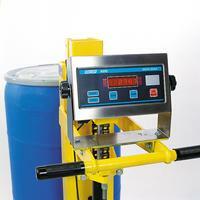 Eliminate strained backs, pinched fingers and the risk of serious injuries caused by manhandling drums. 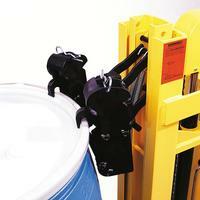 Dramatically reduces the risk of injuries associated with moving drums. 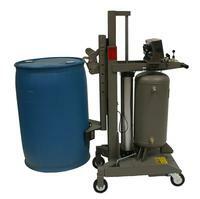 Please call ZORIN for pricing - (888) 378-6525 - Thanks.